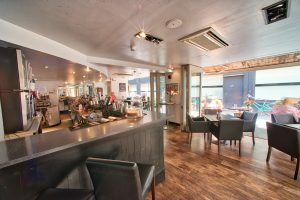 Cocktails, coffee, burgers and salads – what more do you need from this friendly and relaxed central Cambridge bar and restaurant?! 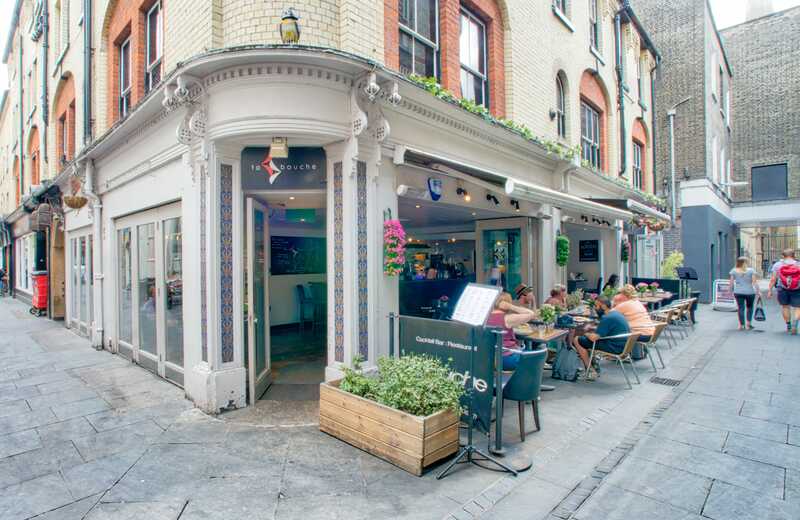 ​E​stablished in 2004, Ta Bouche is a friendly, busy café-bar, famous for its vibrant alfresco area, located in Market Passage, in the centre of Cambridge. 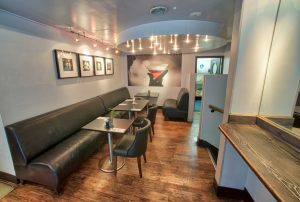 ​In the day Ta Bouche serves as a haven from the busy city centre crowds​. It’s the perfect spot for one of their ​brilliant barista coffees, amazing breakfasts, or tasty lunches. Their menu is an exciting and eclectic mix of sandwiches, burgers and salads, taking inspiration from many corners of the globe​; make sure you check out their daily specials board too! Food is served daily from 8am until 4pm. New from January 2019, they’ve introduced Vegan Vice burgers to the menu, and they’re also having a paint refresh and refurb. 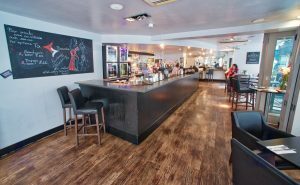 In the evening, the café transforms into a buzzing cocktail bar, playing great music and serving perfectly executed cocktails, a full range of wine, craft beer and champagne. ​Ta Bouche is open Monday to Thursday, until 1am, Friday to Saturday until 2am, and until midnight on Sundays.